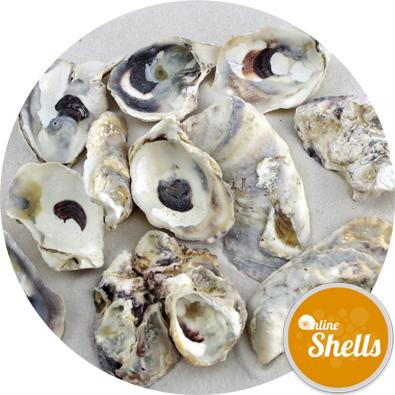 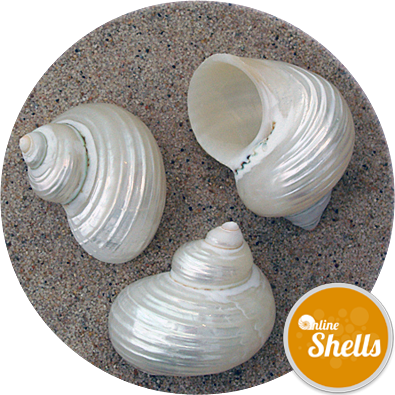 Shell size: Shells are between 8 to 12 cm across. 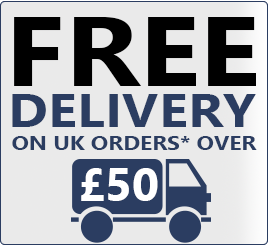 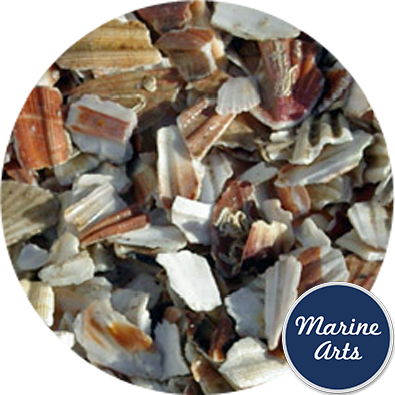 Side by side 10kg of shells is likely to cover an area an area of approximately two square metres. 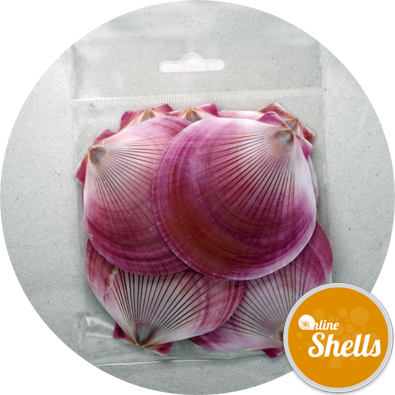 Natural , selected, UK Sourced cleaned flat scallop shells in shades of pearlised white and pink/brown. 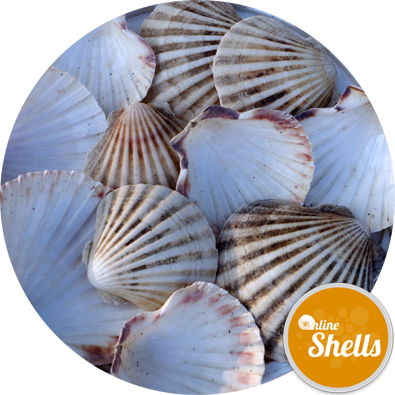 Surprisingly the shells are the other half to the scallop deep or cup. 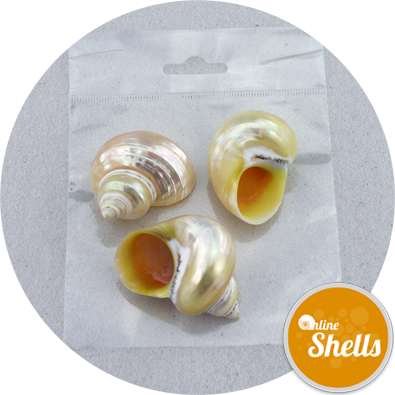 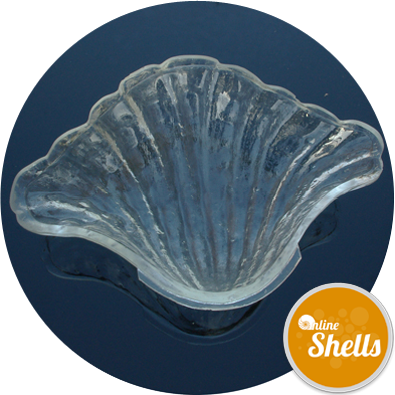 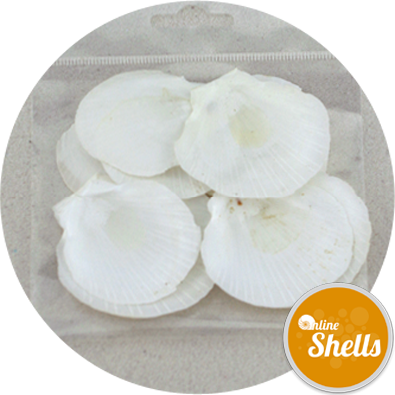 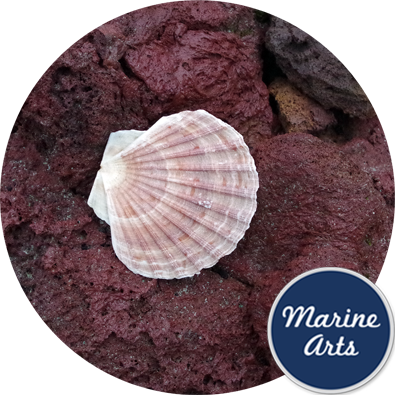 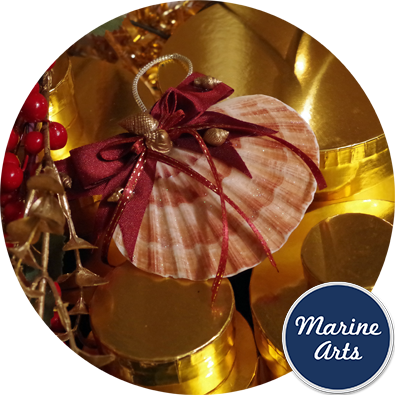 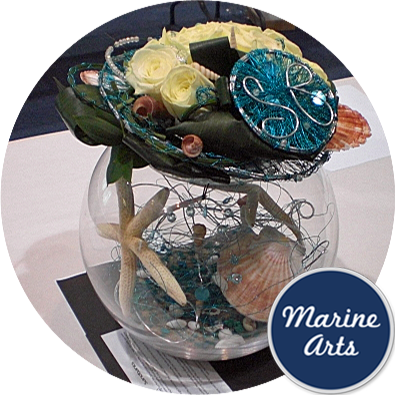 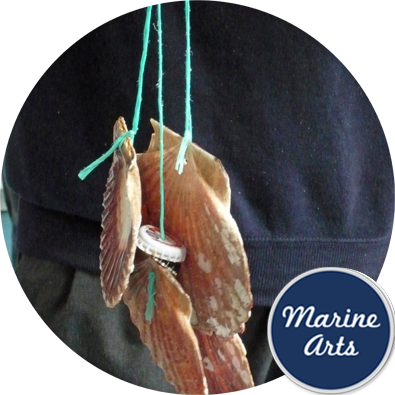 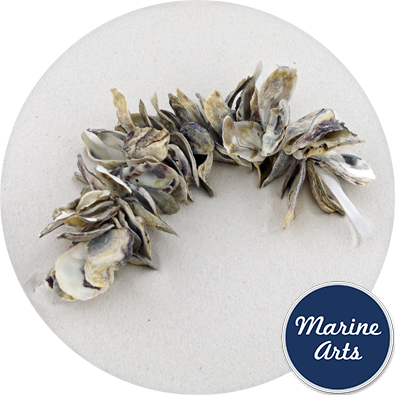 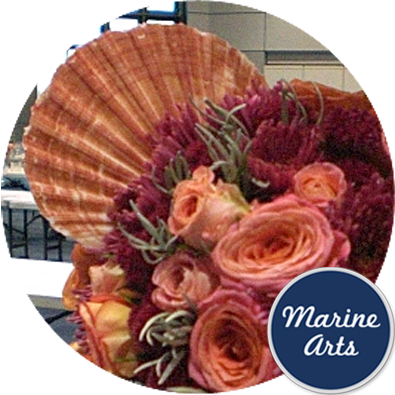 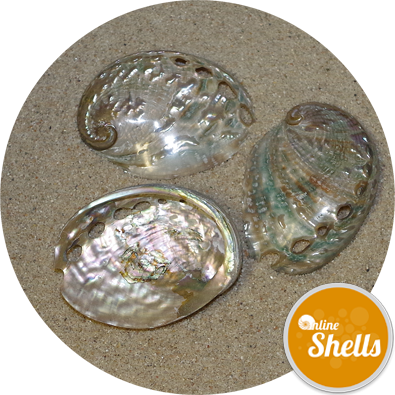 Our clients have used these shells like pompadour wafers as a table centre decoration. 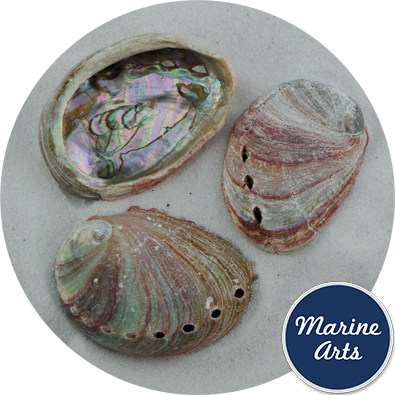 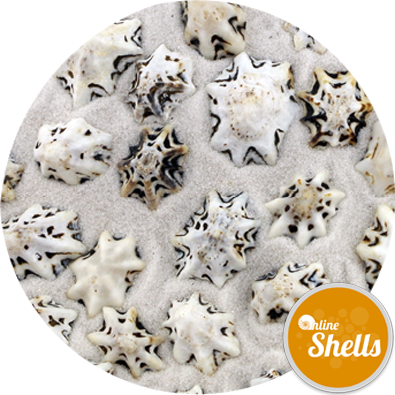 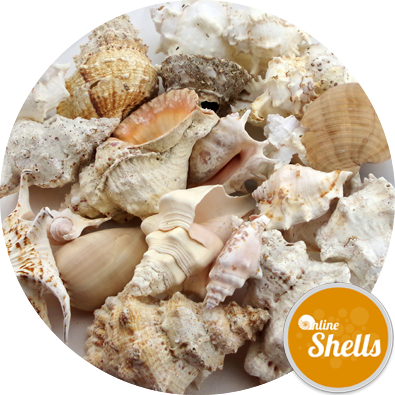 In garden design the shells feature widely in shell grottos, and path edging as "pretty maids all in a row ! " 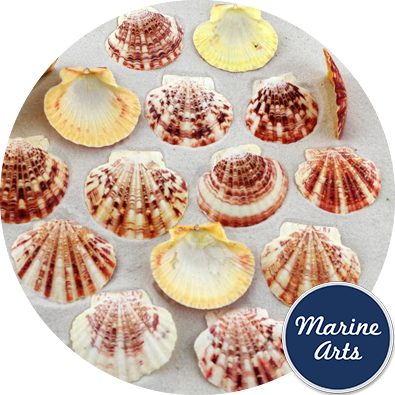 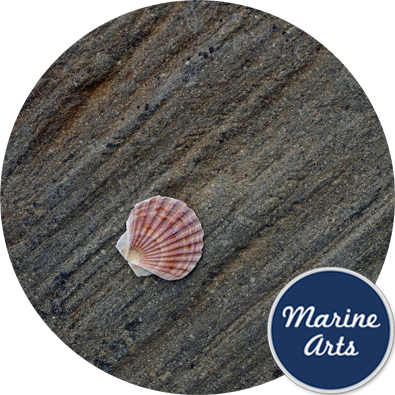 Background: Scallops are marine bi-valves found in all the world's oceans. 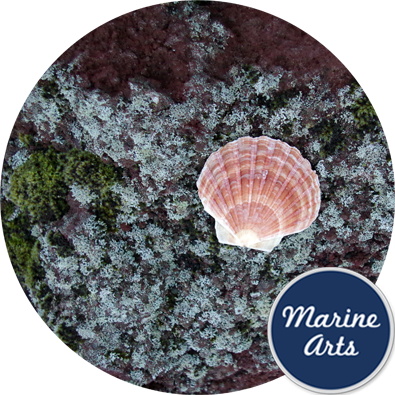 In total there are some 350 species many of them being highly prized as a food source. 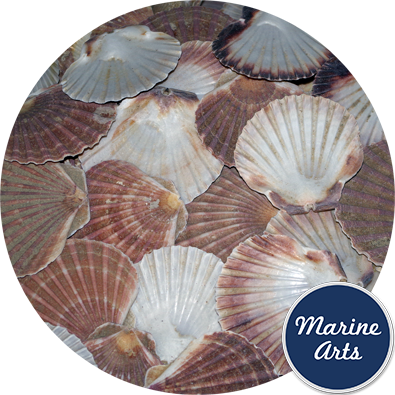 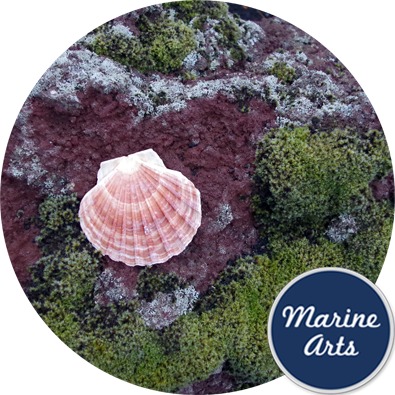 Scallop Shells in History: The scallop shell is the traditional emblem of Saint James. 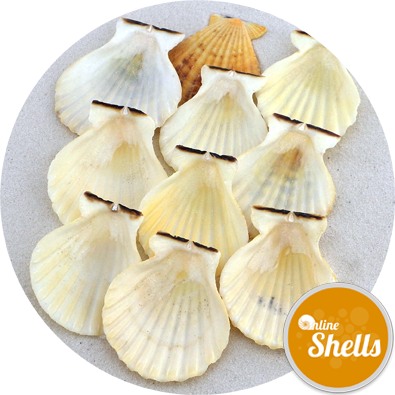 Medieval Christians making the pilgrimage to the apostle's shrine at Santiago de Compostela in Spain carried a scallop shell and would present themselves at churches, castles, abbeys etc. 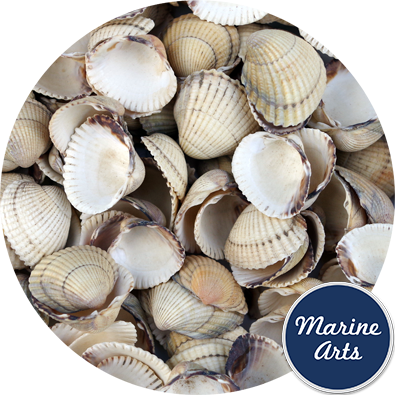 where they could expect to be given as much sustenance as could be picked up with one scoop. 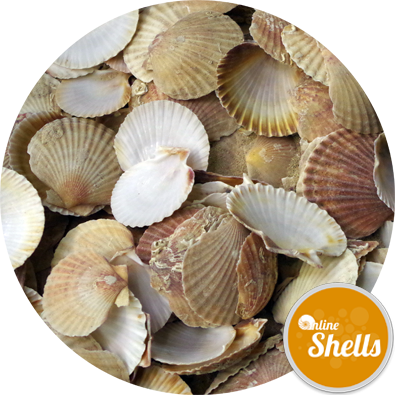 Stock levels may not show a true picture as the product is made from natural scallops.